• Title contains 100+ illustrations from various artist such as Edmund Dulac, B. S. Greig, Chas Pears, E. Stuart Hardy, Edmund Garrett, F. H. Townsend, George Varian, Monro S. Orr • Title contains Summary (Plot Summary, Characters) • FREE audio book link at the end of the book • Charlotte Brontë's Biography • Charlotte Brontë's Top Quotes • Easy to navigated Active Table of Contents • High formatting quality and standards, manually crafted by professionals Jane Eyre is a first-­person narrative of the title character. The novel goes through five distinct stages: Jane's childhood at Gateshead, where she is emotionally and physically abused by her aunt and cousins; her education at Lowood School, where she acquires friends and role models but also suffers privations and oppression; her time as the governess of Thornfield Hall, where she falls in love with her Byronic employer, Edward Rochester; her time with the Rivers family, during which her earnest but cold clergyman cousin, St . . .
Set in Yorkshire during the time of the Luddite unrest—a labor movement that began in 1811-­1812 in an effort to protect the interests of the working class—the novel consists of two narrative strands woven together, one involving the struggles of workers against mill owners, and the other involving the romantic entanglements of the two heroines. Charlotte Bronte's masterpiece of gothic romance—an epic and intimate narrative of love, tragedy, and one woman's struggle to find happiness in the face of overwhelming hardship—now with an insightful introduction from Margot Livesey, author of The Flight of Gemma Hardy and an excerpt from her novel Jane Eyre follows a timeless heroine's quest to find her place in the world. Orphaned as a child, Jane Eyre suffers cruelty and abuse at the hands of her aunt and cousins. Banished to the Lowood school, she forges a path for herself and thrives—in spite of loneliness, poverty, and hunger. When the opportunity for work as a governess sends her to Thornfield Hall, she meets its owner, Edward Rochester, the man who will forever alter the course of her young life. At home for the first time, she begins to fall deeply, irrevocably in love with Mr. Rochester, nurtured by his near-­spiritual adoration. But the manor is rife with mysteries, and one, bound to the attic of Thornfield, will . . . The Professor was the first novel by Charlotte Brontë. It was originally written before Jane Eyre and rejected by many publishing houses, but was eventually published posthumously in 1857. The book is the story of a young man, William Crimsworth. It describes his maturation, his loves and his eventual career as a professor at an all-­girl's school. The story is based upon Charlotte Brontë's experiences in Brussels, where she studied as a language student in 1842. 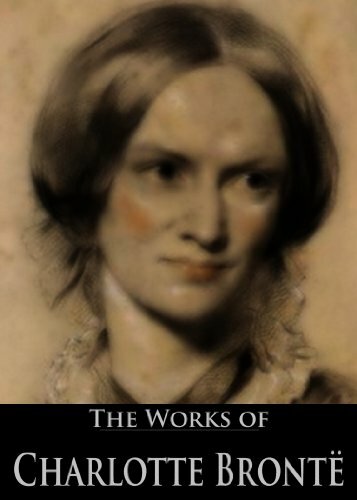 This collection gathers together the works by Charlotte Brontë in a single, convenient, high quality, and extremely low priced Kindle volume!